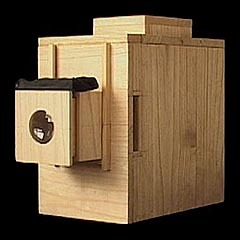 Shortly after the Western magic lantern made its way to Japan in the latter half of the 18th century, shows using a wooden slide projector modeled after that were the trend up until the 1930s. Known as "Utsushi-e" and "Nishiki Kage-e," this form of performing arts used several "Furo" slide projectors from behind a screen made of Japanese paper to combine projected images with music and sound effects that were carefully timed with the narration to tell a story. 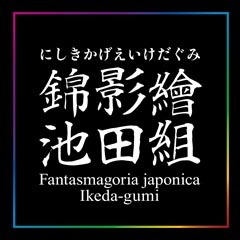 The Nishiki Kage-e Ikeda-Gumi is turning "Nishiki Kage-e" – the origin of Japanese animation – into a new form of art by reconstructing the equipments and adapting new stories to the screen.